Diaper bags can easily become a black hole of stuff if we aren’t careful. 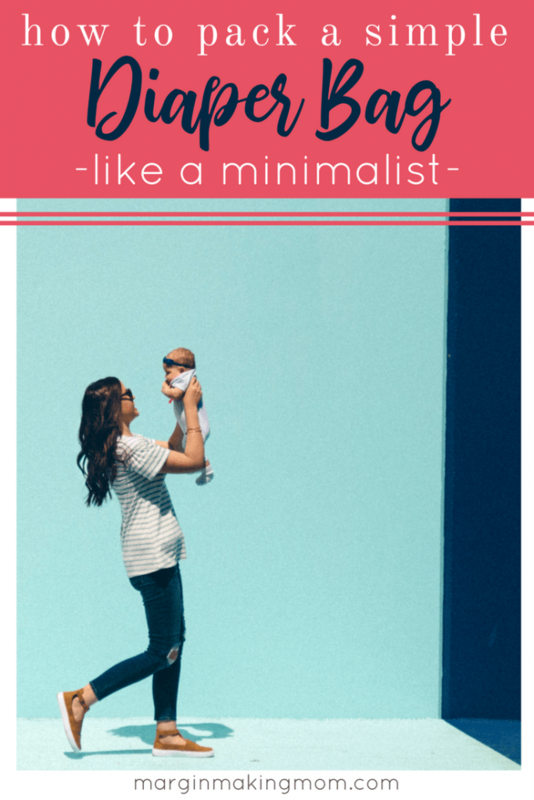 These are three of my favorite tips to help you simplify and keep a mostly minimalist diaper bag! For years, my husband has called me his “for just in case” girl. It’s his way of teasing me for always doing things ‘just in case.’ I’m notorious for planning and overplanning. I don’t like to be unprepared. Even as a child, I was a planner and a prepper–it’s in my nature. And let’s face it, since I had three kids in under four years, I’ve learned that our life is anything but predictable! But the downside of being a planner and prepper is that I can easily go overboard if I’m not careful. Especially when you have a tendency to worry like I do, it’s easy to want to be prepared for any possible situation. So when I was pregnant with my first child and began planning my diaper bag contents, I knew I would need to be intentional. 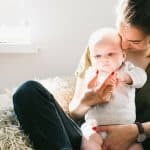 But as a first time mom, it’s hard to know what items are really worth keeping in the diaper bag. Now that I’ve had three kids and have been at this motherhood thing for a little bit longer, I’ve managed to cultivate a pretty minimalist diaper bag. I’ve especially tried to purposely maintain a simple diaper bag as my family has grown. I simply can’t physically tote around every possible thing each child might need. The following are three of my top suggestions for putting together a fairly minimalist diaper bag. 1. Don’t choose a huge diaper bag. I realize this is a bit of a challenge, because the majority of diaper bags I see on the market are gigantic! They have a million compartments and could practically serve as a suitcase. Here’s the problem, though. Larger bags inevitably tempt us to fill them with more stuff. Simply because there’s room, we’re more likely to actually fill each of the pockets and compartments with things we don’t really need. Even if you don’t start out this way, things will find their way into your bag over time. It’s a lot easier to be selective with the contents of your bag if it’s smaller. Obviously, a small clutch-like bag is not going to cut it for the essentials, but finding a reasonably sized bag can be a big help. My diaper bag doubles as my purse when I’m out with the kids. I don’t carry a separate purse. So I need a bag that’s large enough to accommodate our needs, but not so large that I’m tempted to fill it with more stuff. There are plenty of diaper bags out there to choose from. For my first diaper bag, I used the Petunia Pickle Bottom Touring Tote bag. It was perfect for one baby–just enough room for the essentials. I used it for a couple of years and loved it. Once my second child was born, I transitioned to the slightly bigger Petunia Pickle Bottom Sashay Satchel bag, and I’ve used it for almost three years now. The size and compartments have been just enough for me with first two and now three kids. These bags are also well-made and durable (and super-cute!). I love the coated canvas which can be easily wiped clean. Yes, they are a little pricey, but they hold up well and have pretty good resale value. I was able to sell my first one for a decent amount of money and apply that toward my second one. Petunia Pickle Bottom also has periodic “outlet sales” where you can buy the bags at pretty steep discounts, which is how I bought my second one. Regardless of what brand you use, try to find one that’s not huge. 2. Pack only the most commonly used/needed items. 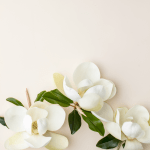 This will vary from person to person, and it may take a little bit of time before you figure out exactly what you need most often. Resist the urge to pack for every possible event or occurrence. I personally try to pack items that are either the most commonly used items or items that can serve more than one purpose. Some of these may not be absolutely necessary (such as toys or books), but they are things that we commonly use, so I include a few. 2 diapers (one for each of my boys)- For routine trips out and about, this is more than enough. If your baby is younger, you may want to keep more than one diaper in your bag. But in most cases, you shouldn’t need more than 2-4 diapers, especially if you follow tip number 3 below. Changing pad- Many diaper bags come with one of these, but if not, there are many types of portable changing pads available. Hand sanitizer- With kids, this is a no-brainer! Milk Snob nursing cover– This is my absolute favorite nursing cover because it’s soft, stretchy and breathable, offers 360 coverage, and it doubles as an infant seat cover and shopping cart seat cover. I’ve also used it as a blanket for the kiddos. I also love that you can easily keep one arm out of the cover, which was extremely helpful since I have three kids and someone will inevitably need something while I’m nursing. Before I had this cover, I would keep a large muslin swaddle blanket folded up in my bag. I could tie two corners together to make a nursing cover, tie it to the handle of the infant seat to provide shade, and more. 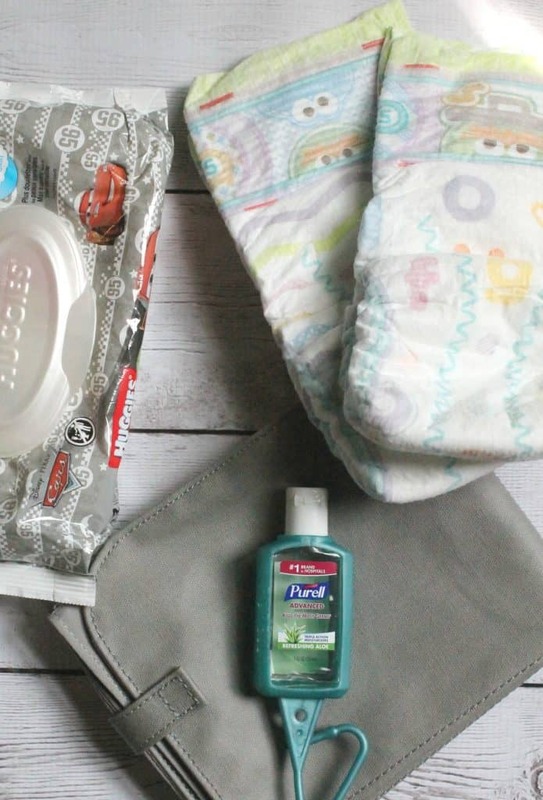 Choosing items that are multipurpose will go a long way in simplifying your diaper bag. 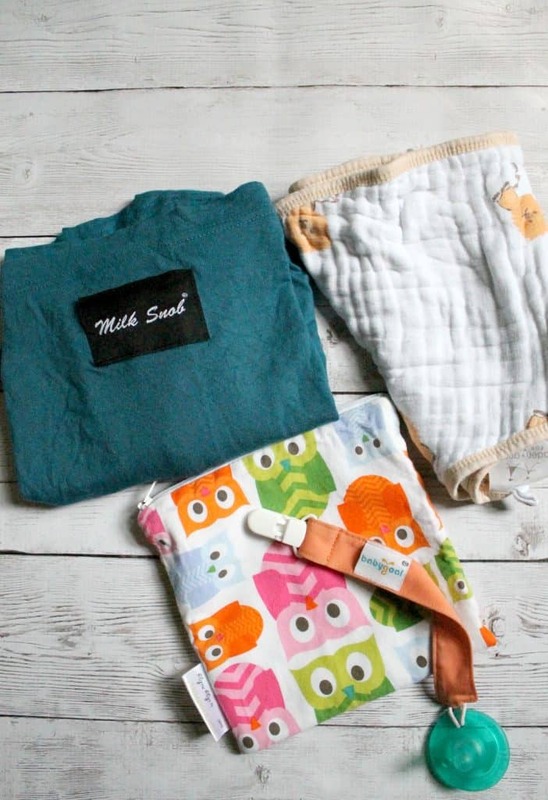 2 muslin burp cloths/bibs– Once again, dual purpose items for the win. These double as both burp cloths and bibs, so I keep one for each boy in my bag. They’re really soft and absorbent, and they provide good coverage for messy eaters. Pacifier on a pacifier clip– My youngest still uses a pacifier, so I keep an extra one attached to a paci clip at the ready. One neutral colored onesie– At this point in time, my two boys wear a pretty similar size in clothing. So I keep one neutral colored onesie in my bag in case of a diaper blowout or other mishap, knowing that either boy could fit into it. In the past, when their sizes were significantly different, I kept two in the bag. I don’t keep full sets of clothes in my diaper bag, as I discuss below in tip number 3. An Itzy Ritzy Reusable Snack and Everything wet bag- This can be used to carry snacks, or it can be used as a small wet bag (in case a diaper leaks and you need to change your child’s clothes). 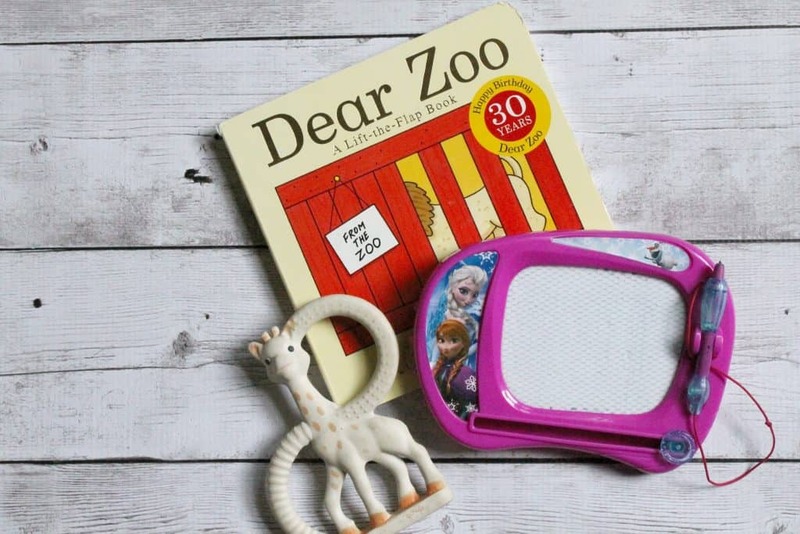 3-4 small toys or books- I like having simple board books, teething toys, etc. handy for the kids. These come in handy for for long wait times, such as at a restaurant, or while driving in the car. Kids sunglasses– I keep these tucked into one of the bottle pockets of my bag. A small miscellaneous bag- I use a small cosmetic bag to hold random items that I want to have with me for my own use– acetaminophen, nail clippers, an extra pair of contact lenses, an extra hair tie, a couple of bandaids, etc. A wristlet wallet- I mentioned that I don’t carry a separate purse when I’m out with my kids. 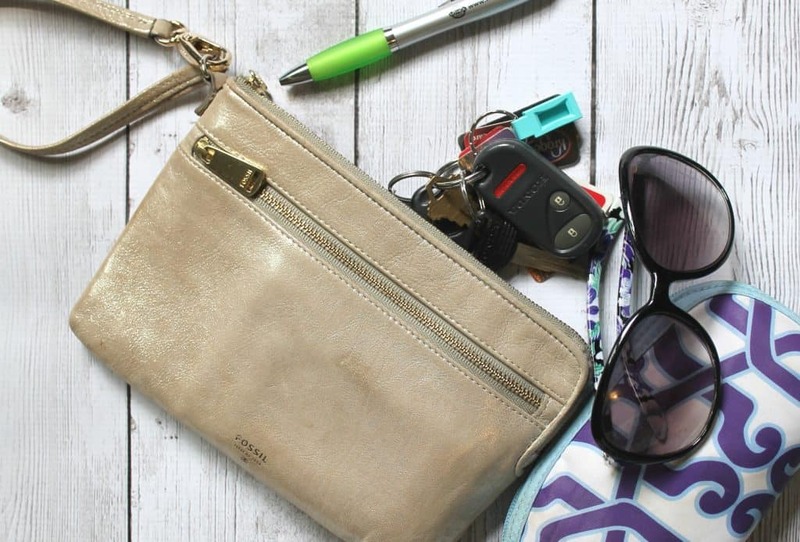 I have a wristlet wallet from Fossil that is perfect–I just tuck it into my diaper bag. I love it because it can hold my cards and money, but also has room for my phone, lip balm, a pen, etc. Then, if I’m going anywhere without my kids, I just grab my wristlet out of my diaper bag and go. No transferring a bunch of random items from my diaper bag to a purse. Just grab and go. The exact one I have is no longer available, but you can find very similar ones here and here. My sunglasses, keys, and a pen. 3. Pack a second bag that stays in the car. 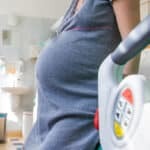 I started doing this once I had my second child, but I wish I’d done it sooner! In an effort to decrease the amount of stuff I carried with me regularly, I purchased a small tote bag to keep in the car with things that I might need occasionally, but don’t need all the time. Items I keep in this bag include an extra set of clothes for each child, extra diapers and wipes, a couple of books, a larger Planet Wise wet bag (I have used this when a kid vomited all over his clothes, to hold wet swimsuits when we are leaving the pool, and so forth–it’s so handy! ), and a simple first aid kit. If we are ever out and about and I need these items, we can simply go out to the car and get them. Since these are items that we don’t use on a regular basis, I really don’t need to keep them in my diaper bag at all times. Storing them separately in the car lightens my load but still keeps us prepared. Simplifying how you pack your diaper bag can not only save your back and shoulders, but also give you confidence that you have what you need and that you can find it when you need it. Think about the essentials that you need on a pretty regular basis, and include those in your bag. 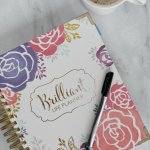 Your list will probably be different than mine, and that’s fine! My list changes as my children grow and change. The point is to only keep the most common necessities in your bag and then keep a few extra items tucked away in your car. I think you’ll find you can get by with much less than what you’re already toting around! What are some of your must-haves for your diaper bag? Just discovered your site. Fantastic! Love it.